We've done some 5Ks, and we've got our bibs and souvenir t-shirts shoved in a drawer somewhere. But never have we been offered an "individual dim sum box" as part of the race package. The Chinese Mutual Aid Association is sponsoring the first DIM SUM AND THEN SOME 5K race through Uptown on Saturday, June 3rd. 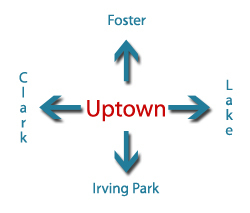 It will begin at Buttercup Park, at Ainslie and Sheridan, and make its way through Uptown, ending up on Argyle Street. 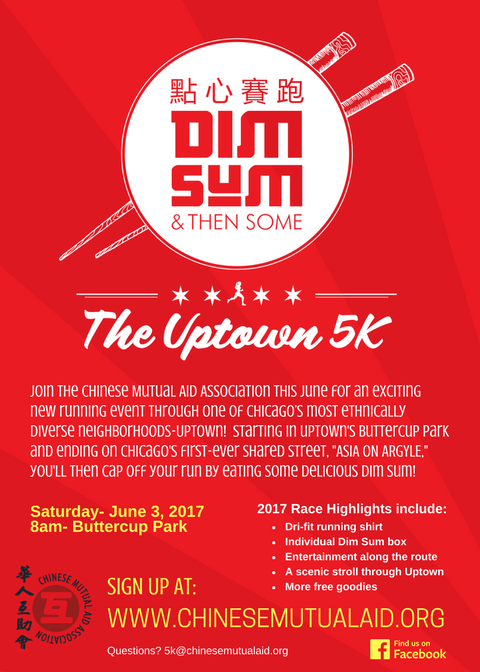 There will be entertainment along the race route, and treats -- including dim sum provided by Furama -- afterward. For more information on how to participate and register, click here. Best price is if you sign up by May 30th. 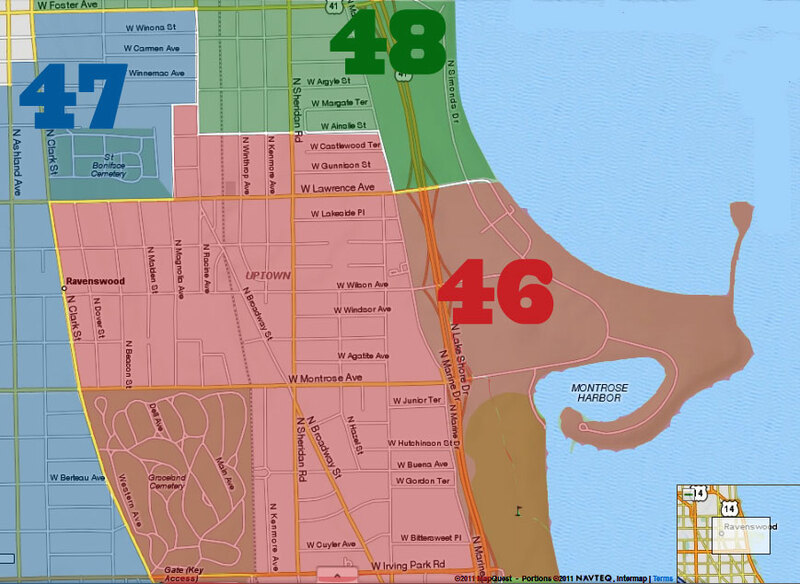 There will be a community meeting about the race on Monday, May 8th, 6:30pm-7:30pm, at Somerset Place, 5009 N Sheridan.